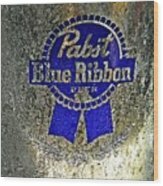 Shot at the cigar box guitar show, a bucket of PBR is iced down on the patio on a hot summer day. 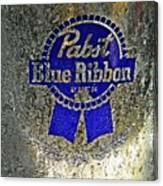 Pabst Blue Ribbon (PBR) is a brand of beer sold by Pabst Brewing Company, originally established in Milwaukee, Wisconsin in 1844, but now based in Los Angeles. 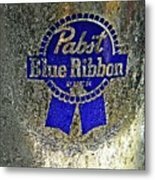 Pabst Blue Ribbon is contract-brewed in six different breweries around the U.S. in facilities owned by Miller Brewing Company (a few of which were actually Pabst breweries at one time). 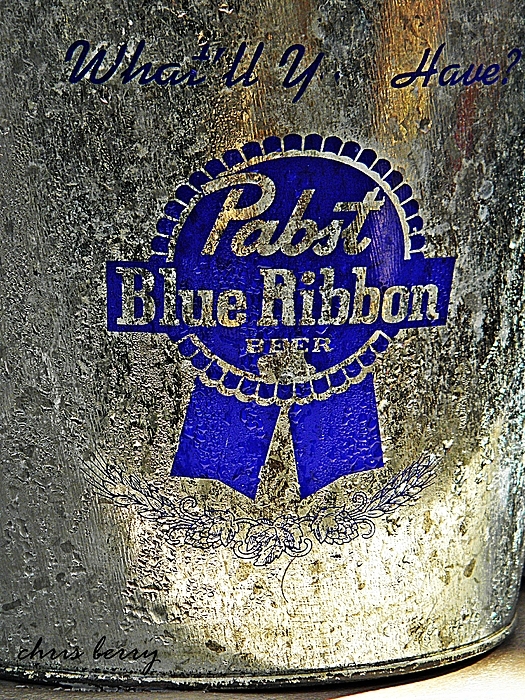 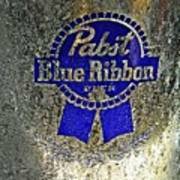 Originally called Best Select, and then Pabst Select, the current name came from the blue ribbons that were tied around the bottle neck, a practice that ran from 1882 until 1916.